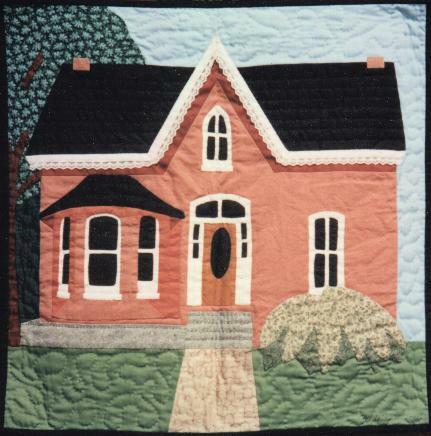 This pattern was designed as a simplified version of my pictorial quilts. This is not a beginner's project, as the technique's include exact sewing line machine piecing and a starch appliqué method for the finer details. Included with this pattern are a few pointers on how to turn any picture you might want to make, into a pictorial quilt. To see a few of my student's versions of this pattern, click here. Fat Quarter of black fabric, if using it for a roof, otherwise you need less.